Save money & make your home comfortable.Insulation – Home Energy Audit – FREE ESTIMATES! Dr. Energy Saver by Keeney Home Services is your locally owned and trusted, full-service home insulation contractor, specializing in improving home comfort, health and energy efficiency. From installing spray foam and blown in insulation, to air sealing and more, we can help improve the comfort of your home and save you money! Our team is made up of experienced, certified home energy service technicians who have the skills and expertise to not only diagnose your home’s energy issues, but also perform the repairs. If you are dealing with comfort issues of any kind in Northeast Wisconsin, contact us today. We offer FREE no-obligation consultations! Need new gutters or leaf protection? We offer custom solutions and installation. "Everything about this company was outstanding. 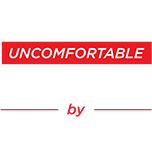 They did a..."
We Fix Uncomfortable Homes! As Northeast Wisconsin’s authority in home energy and insulation services, we have helped hundreds of homeowners improve the overall comfort of their homes, as well as lower their monthly energy bills with our home energy solutions. Our customers noticed an immediate improvement in comfort, and lower monthly energy bills, and are pleased with the results. From spray foam and blown in insulation, to insulting an attic and performing custom home energy audits, the experts at Dr. Energy Saver by Keeney Home Services provide excellent service to keep your Fox Valley Area home comfortable all year round. Contact us today for a FREE estimate! We serve homeowners in Green Bay, DePere, Allouez and surrounding areas. Air Sealing Helps Create a More Energy Efficient Home in Kiel. Since 2008, Dr. Energy Saver by Keeney Home Services has provided homeowners of Northeast Wisconsin reliable home insulation and energy services. We have helped hundreds of homeowners with their home energy issues by using our proven insulation solutions. As Fox Valley Area’s insulation and energy expert, we have access to the highest quality products and offer service unlike any other company in the area. As an authorized Dr. Energy Saver Dealer, we have gone through extensive training on all aspects of home energy and insulation that is unmatched by anyone in the home improvement industry. Our team of insulation experts can quickly diagnose and fix any home energy problem that is causing comfort issues in your home. Contact us today for a FREE service estimate!